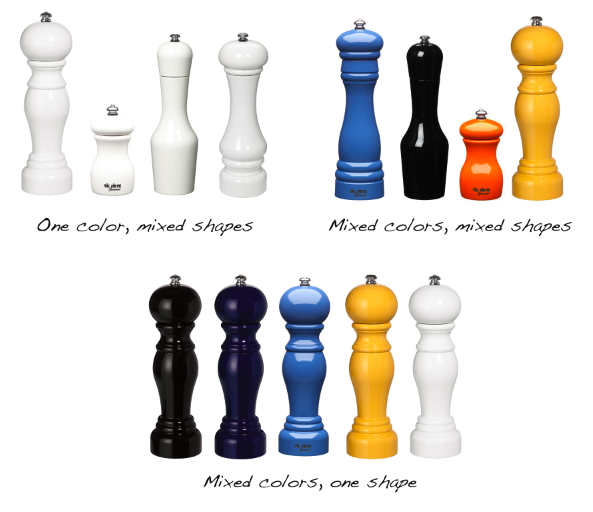 Vic Firth Pepper Mills | Ooh, my favorite! Who knew making a pepper mill decision could be so difficult? And who’d have thought a drumstick maker would become one of the best sources for gourmet pepper mills? Really. In a more minimalist kitchen setting I could see the mixed colors and shapes being a lot of fun, but for our setting we’ll probably go with either all one color or one shape. My fave is the all white, mixed shape set. What do you like?